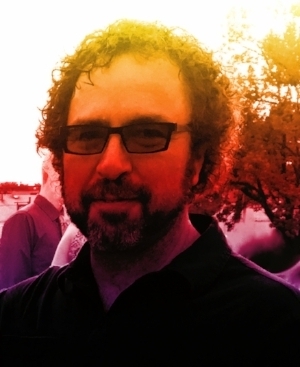 Writer of copy, content, lists and amusing poems; sometimes designer, photographer and artist; builder of communities and consensus; father and son; life-long student of behavior and universal truths; race driver; enthusiast of dry-hopped ales, abstract art, podcasts, cute animal videos and getting real-world results. I write for virtually every industry and every size business from international conglomerates to startups. I work well in buzzing big agency creative departments, quiet nooks at small design studios, and have been considered a full-on team member of corporate marketing departments hundreds of miles away. I address a huge array of audiences in most every conceivable context via all channels. 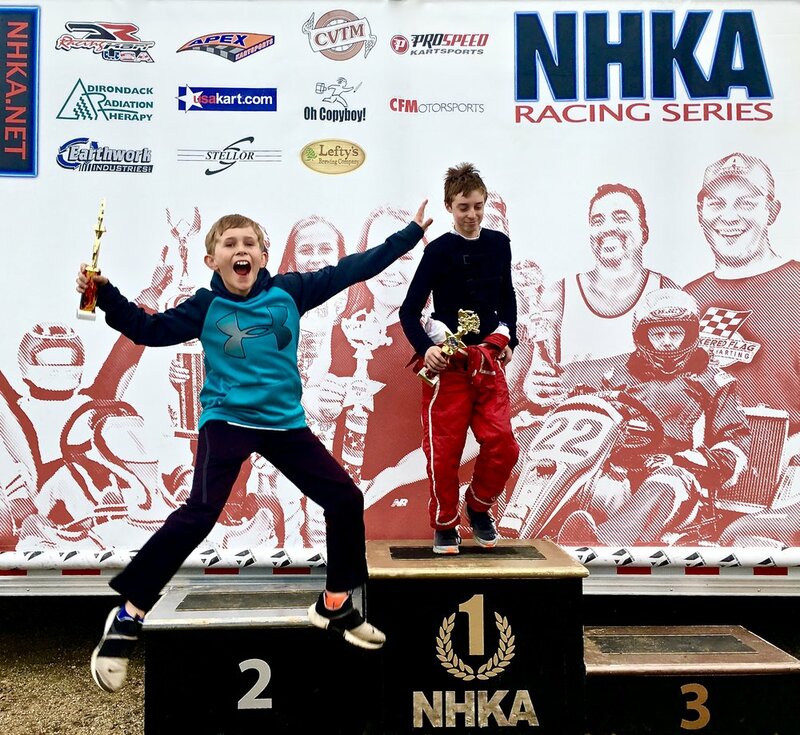 My work for the NHKA Racing Series shows the full breadth of my skill set and how I use it to get living, breathing, jumping for joy results. Ask questions. Lots and lots of question. I want to know the product/service I’m writing about inside and out, to find that shiny pearl of true differentiation. Ask a bunch more questions. But this time about the audience. If the goal is to write things that genuinely resonate, we need to be on a first name basis. Build a bridge. Sometimes it’s made of paper, other times 1s and 0s, or a voice on the radio, or an experience at an event, or embroidered onto a sweater worn by a rambunctious baby goat on video. In every case, it’s a bridge paved with common sense that’s easy for the audience to follow to the product. Ultimately, I make things, so craft matters a lot to me. Yes, in the polished finish, but also in the project management and review processes beneath the shine. I am experienced with the coordination of resources, timelines and input, using tools such as Basecamp when appropriate. I have an eye for detail, can hit the ground running, and find collaboration and learning the most satisfying parts of my job. The work for this pharmaceutical manufacturer was loaded with so much science, I felt like I'd need a couple dozen PhDs to get through it. So I got them. Print ads, billboards, websites, mailers, product names and taglines, SEO pages, product videos, posters, radio spots, email campaigns and landing pages, white mail, surveys, trade show booths, web content, “viral” videos, instruction manuals, packaging, catalogs, restaurant reviews, UX, articles and whitepapers, signage, sell sheets, telemarketing scripts, presentations, apparel, newspaper ads, point of sale displays, and I’ve named two human beings. Basically, whatever it is you need written, chances are I’ve written it before. 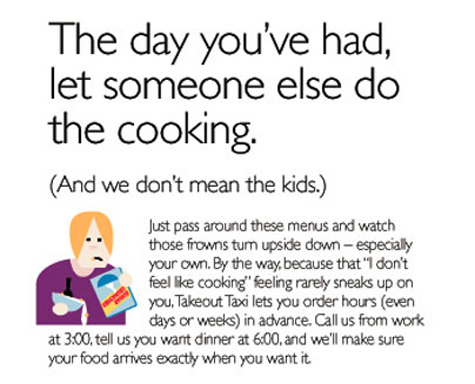 This service makes deliveries for restaurants that typically don't. They had an identity crisis: While they had a logo, the rest of their image was generic or chameleoned into the looks of the various restaurants. Not good. So we created a fresh color pallet and a family of characters to emphasize with the customers’ exhaustion, and altogether gave the client a consistent and unmistakable identity. 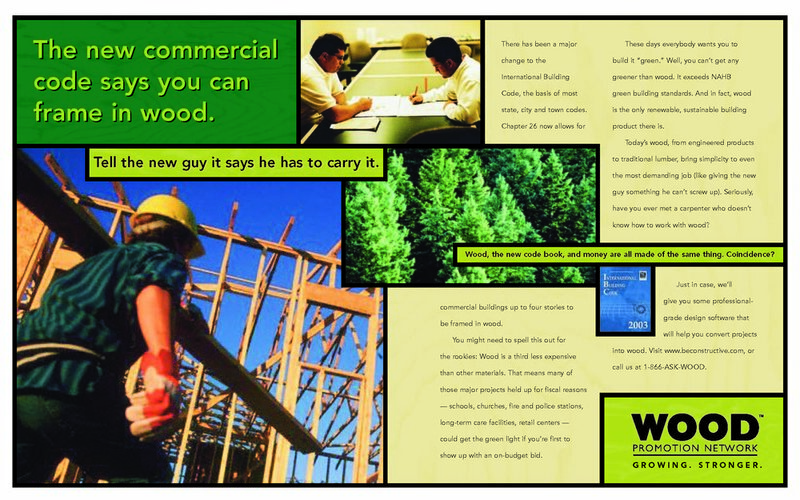 Print ad campaign for WPN, a consortium of tree growers for the lumber industry (the "Got Wood?" people). 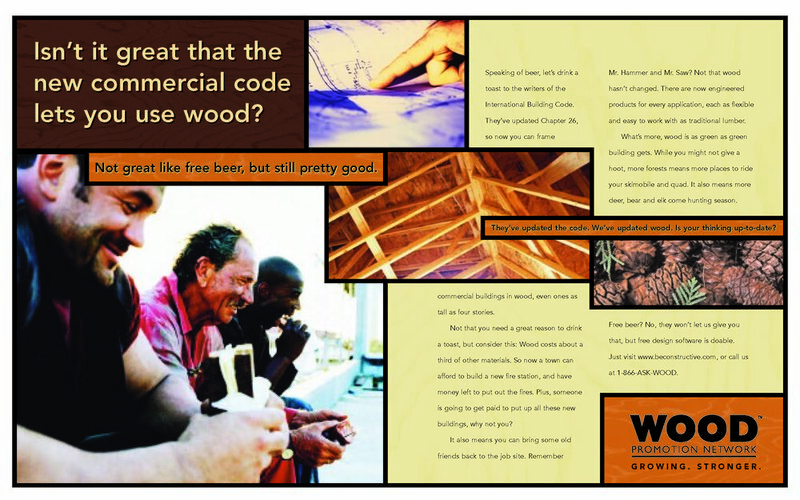 They wanted builders to know that changes to the code allow for many more commercial projects to be framed in wood. On the surface, the tone is guys talking to guys. But really, it's reuniting old friends who can pick up right where they left off. Poster to remind internal team to respect patient privacy and HIPPA laws. 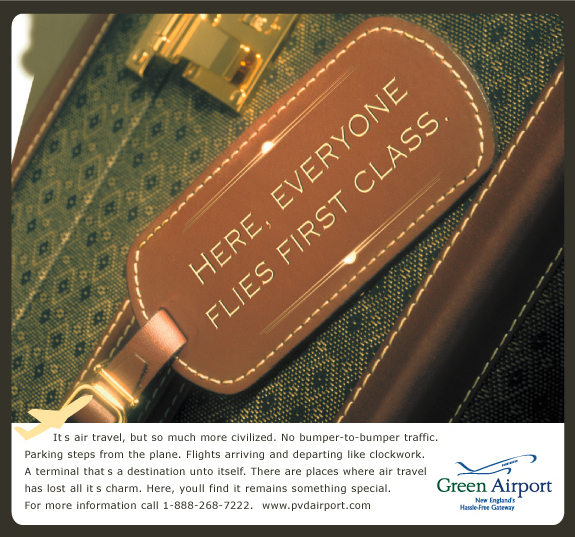 Two ad campaign for Green Airport. Just outside Providence, it offers many of the same destinations as Logan Airport in Boston, but few of the hassles. It's easy to get to, and the parking lot is right near their modern terminal. The trick was to dump on Logan without saying "Logan"... to do a very competitive ad without doing a negative ad. In the health club business it's as much "club" as it is "health." Members want pleasant experiences followed very shortly by buff bodies. 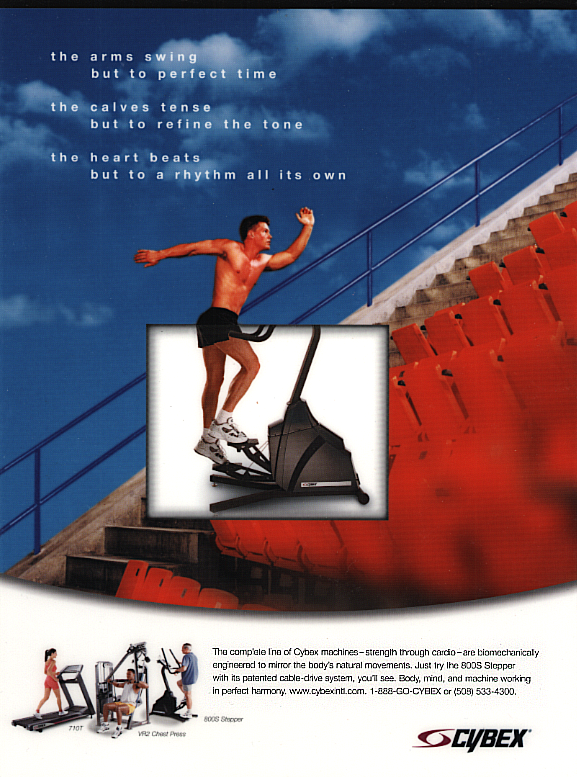 Club owners had always geeked-out over Cybex engineering. But we wanted to put it together for them: Cybex engineering will make members love using these machines, and thus love coming to their clubs. 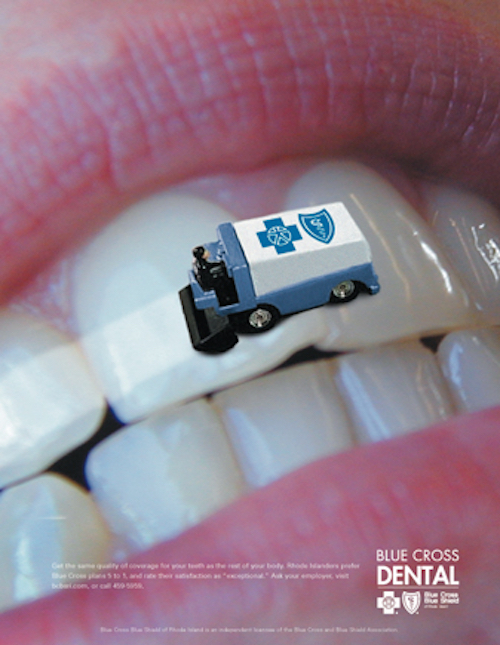 Blue Cross Dental of Rhode Island was a major sponsor of the Providence Bruins. This efficient visual concept worked well in both the program book and as signage in the Dunkin Donuts Center. Dr. Silverman loves working with people who are under pressure to deliver fresh thinking everyday. 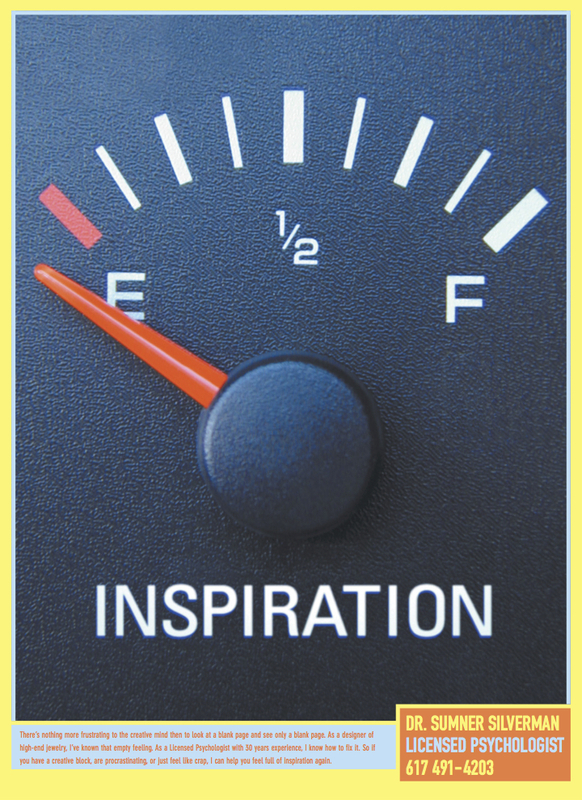 Lacking a fat media budget (actually, any media budget), we created a campaign of posters to hang in ad agencies, software firms, art schools, coffee shops - anywhere creative types might be moping around. 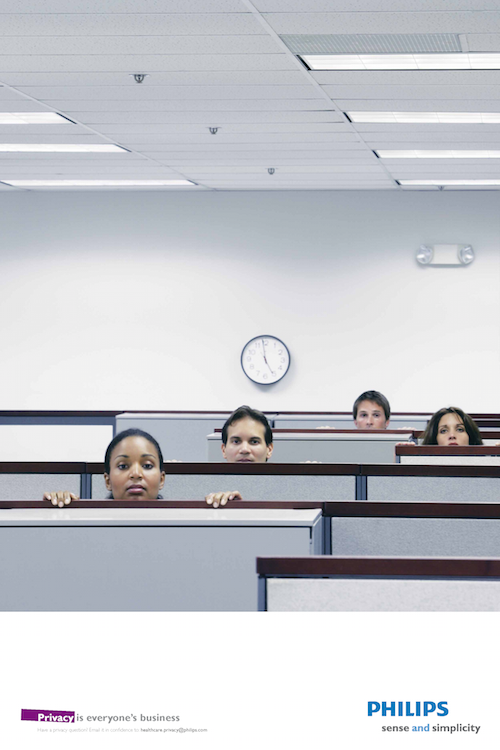 Fast Company Magazine was just starting to catch fire. They wanted their national conference to be huge. They asked for an invitation that could not be missed. This 3D mailer featured a gilded, leather-bound book for invitees: "The Revised and Unabridged Rules of Business." The pages were blank. The response was overwhelming. 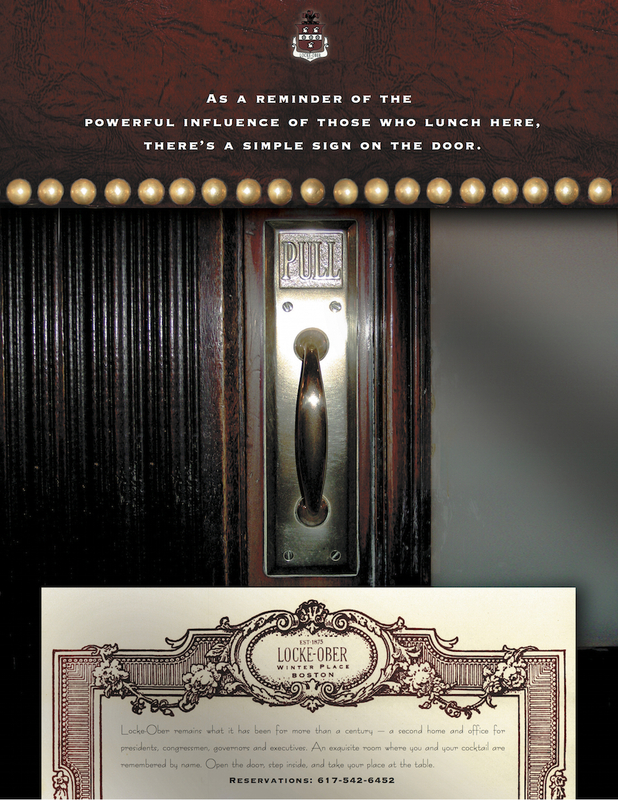 This restaurant was legendary. JFK used to bring Marilyn Monroe, and so did Joe DiMaggio. Sadly, in the 80's and 90's the shine was off the silverware. Then Lydia Shire brought back the polish, but not the customers (they were in nursing homes.) A generation was skipped. 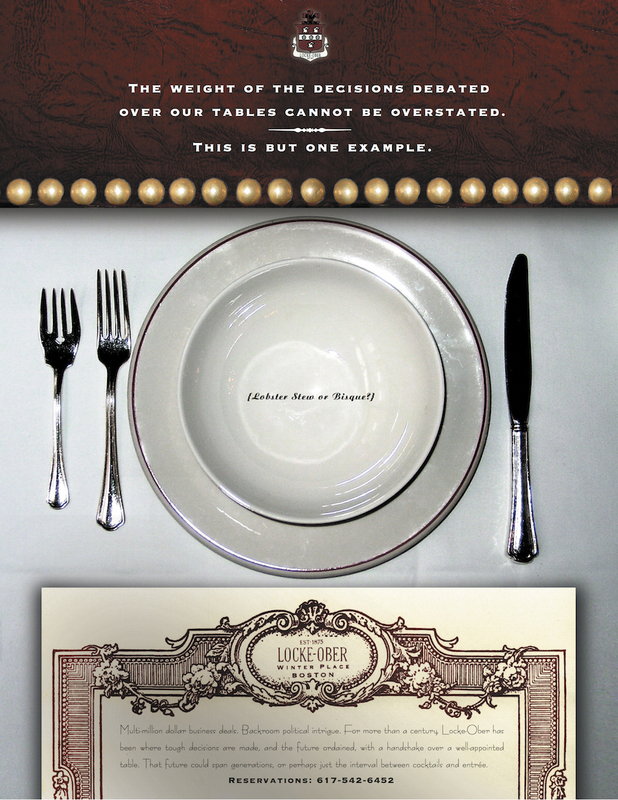 These ads reasserted their rightful claim to the power-dining throne. Bank newspaper ads? In a portfolio? I want to you to see how I handled a client you actually have: A bank, with loans to sell. 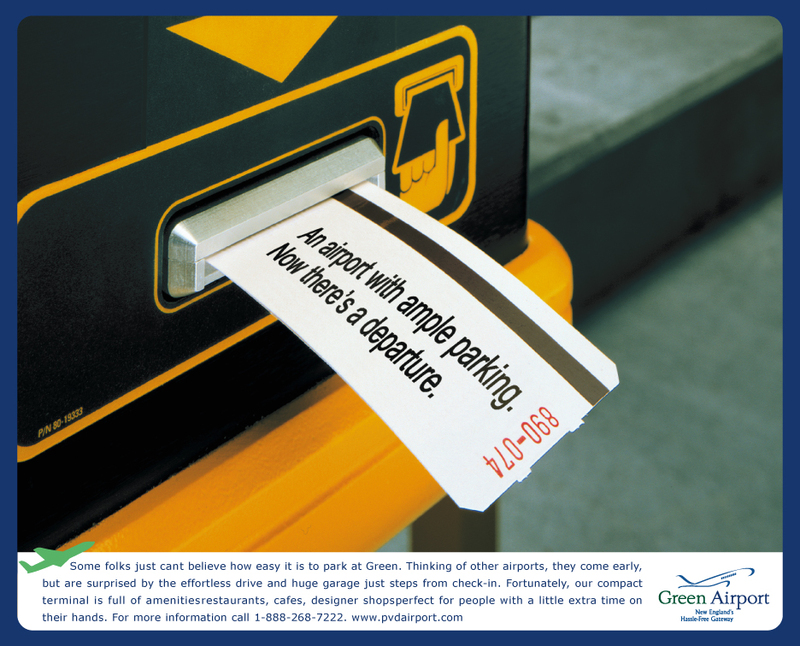 Dull product, cool ads - I thought you'd like to know I can do that. I worked on this published essay with Glen Walter, a founder and the managing partner of eleven, a highly regarded industrial design firm. In addition to think pieces like this, I worked on the studio’s website, presentations, packaging and on product naming projects. The goal of these radio spots was to connect with female grocery shoppers on an emotional level, communicate the breadth of flavors and "New Englandness". These scripts were used in an unsuccessful pitch after which the folks at New England Coffee told the agency that they were sorry things didn't work out because they really wanted to run the spots. MedCap is a venture capital and investment banking firm focused on medical technologies. They ask me to write a show-piece brochure, what they also got was a crisp, clear way to discuss their complex business. 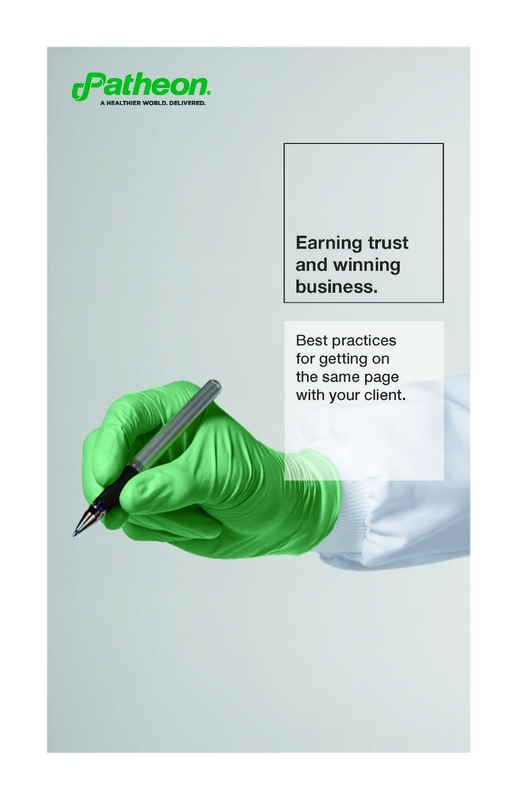 Sadly, the brochure never saw ink, the language and positioning proved to be an investment with lasting value... much of what I wrote was used years later on a new website.